Because it’s too late to be a January favourites and too early to be February favourites I thought I’d share a products I’m currently loving post because they’re one of my favourites to write. I’d originally planned on getting this post up yesterday (valentines day, hence the “currently loving’) because ya know makeup is the love of my life but as usual I didn’t actually get it up on time, no surprise there Samm. February’s been a great month so far actually, it was my birthday on the 10th so I spent the weekend celebrating it with my family. I’m not normally much of a birthday person but as it was my 21st it was more of a special birthday which was nice. I got some new beauty bits which I’m honestly so excited about, I think I’ll put a haul up soon as everything’s too nice not to share! Anyway before I ramble on for about 8 paragraphs, lets get onto the favourites. I’m a perfume person, it’s something I definitely got from my mum as I’m always swooning over her perfume collection, no shopping trips complete without us spending a solid 45 minutes at the fragrance counter spraying away. 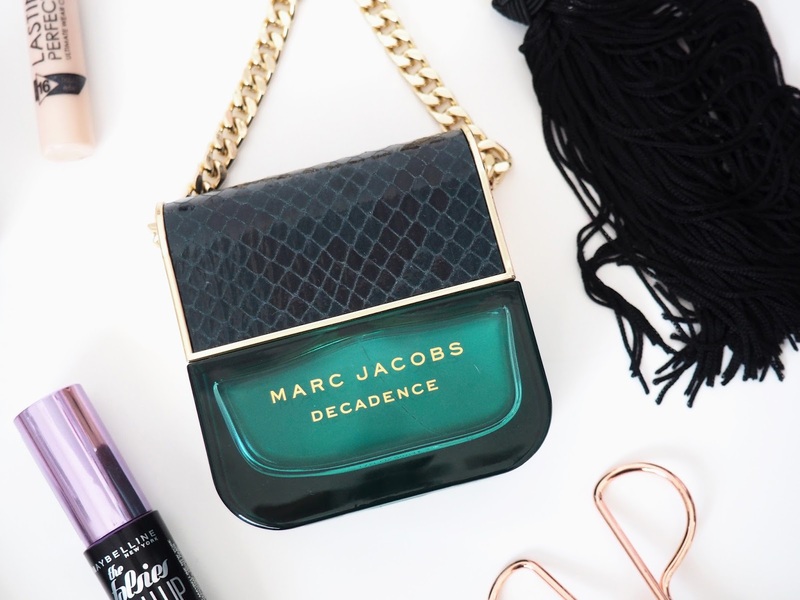 We’ve kind of made it a thing to get each other perfumes for birthdays or Christmas and last Christmas she got me Marc Jacobs Decadence – she knows I’m a big fan of Marc Jacobs fragrances! This perfume is beautiful, both fragrance and bottle wise! I’m normally one for sweet/floral/light fragrances but this has a deeper (or as I class ‘mature’) scent that lasts so well on me, I’ve had so many people ask me what I’m wearing when I’ve got this on. 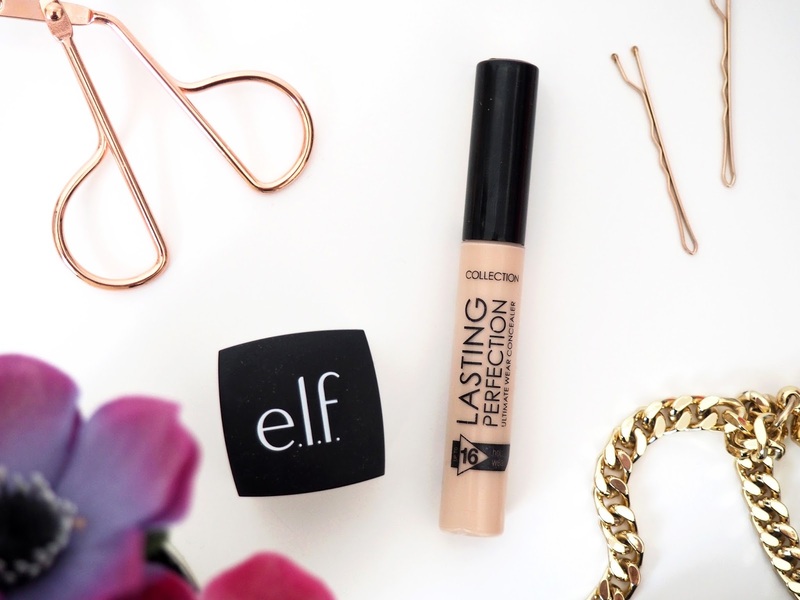 I remember years ago this concealer was all the rage, everybody raved about it and I remember it becoming a firm favourite of mine so much so that I also converted my mum and sister onto it. Over time as I got more into makeup I started trying other concealers and I guess I ended up forgetting about my love for this. On a recent trip to Boots I decided to repurchase it and give it another try and for about 4 weeks now I’ve been using this under my eyes everyday. It’s budget friendly, it’s full coverage without being drying and I just love how natural it looks on the skin. This powder paired with the Collection concealer is honestly the perfect combination and I can’t rave about it enough. I’ll admit I can be a bit of a makeup snob especially when it comes to my base but this combination honestly works better than concealers and powders that cost 6x the price. When I saw this powder in my ELF Beauty Squad Box they sent over I recognised it instantly as I remember a lot of beauty gurus raving about it back in the day. It keeps my concealer from creasing or settling into those dreaded fine lines (aka baby wrinkles) all day, the only thing I can fault is the small packaging, whilst it’s such an affordable product and you don’t need to use much I just wish they did it in a bigger size! I was originally going to wait until I’m in America in April to pick up this foundation but me being the weak makeup addict I am I ended up caving and ordering it sooner as it’s still not available in the UK – cmon UK brands get it together, pls start stocking products over here sooner! Whilst this foundation wears nicely alone, I personally prefer a bit more coverage so I mix it with a higher coverage foundation (Becca Ultimate Coverage Complexion Creme, Kevyn Aucoin Sensual Skin Enhancer or MAC Studio Fix are my top 3 to pair it with) and it just adds a real dewy glow from within look whilst still giving me the coverage I want. I adore this foundation. 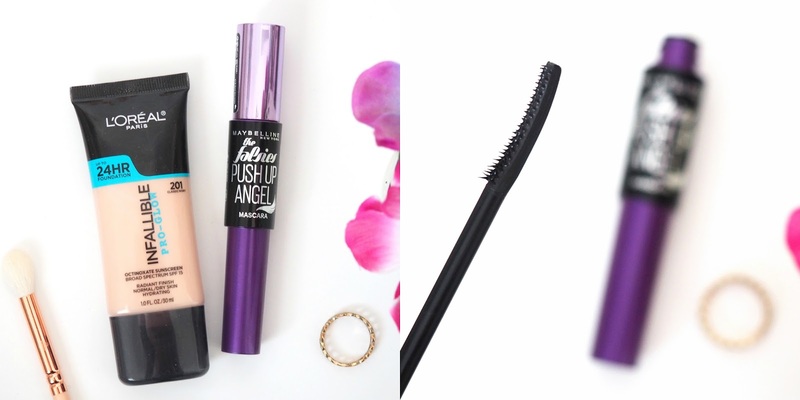 I’ve been loyal to the Maybelline Lash Sensational Mascara ever since it’s release and whilst I’ve tried a fair few since, nothing seemed to compare to Lash Sensational…. until The Falsies Push Up! Let’s take a second to take in the packaging, Maybelline seem to do mascara packaging so well. As for the actual mascara, when I first opened it I thought I had a broken wand as I’ve not seen one like this before but it is how it’s actually designed. I have short sparse eyelashes thanks to alopecia but this seems to add the perfect amount of length and volume without looking like a clumpy mess and it doesn’t transfer throughout the day which is a massive bonus as it’s certainly a fault I find in mascaras. 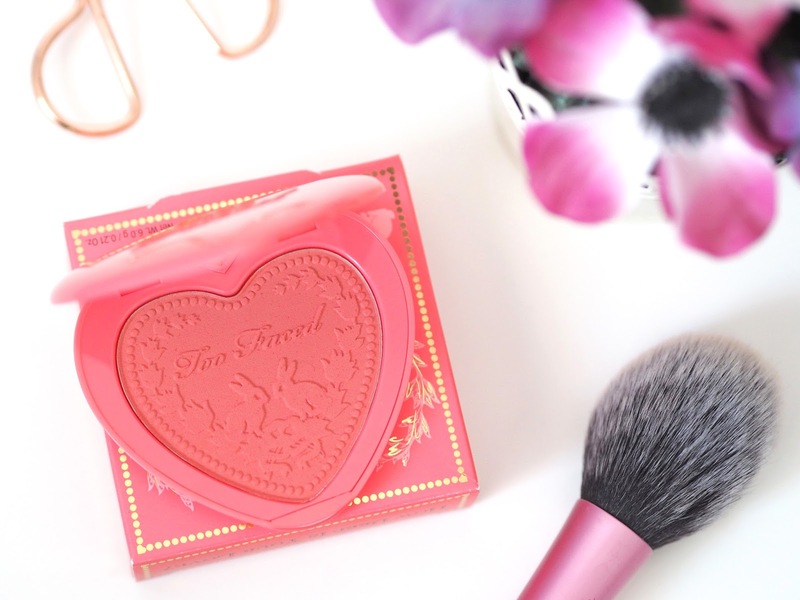 Whilst this blush actually looks brand new and unswatched (well, it practically is) I already have this in the Too Faced Love Flush Blush Wardrobe I got last year and I’m just about to hit pan on it so I thought it was about time I purchased it full size. The packaging is adorable and whilst I’ve only used the full size a couple of times now (I can’t bring myself to ruining the beautiful print, hashtag makeup addict problems) it’s earnt itself a place in my top 3 all time favourite blushes and I absolutely adore it. 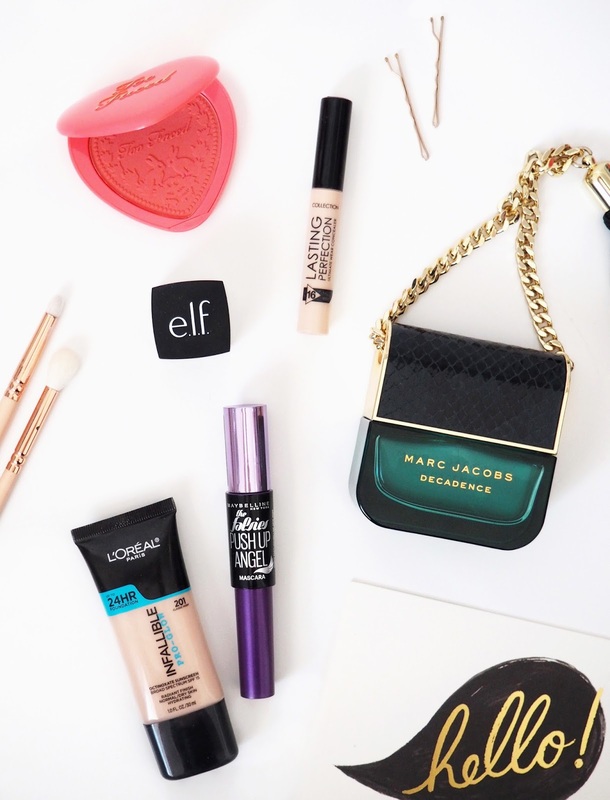 So those are all the products I’ve been loving lately! I didn’t realise how drugstore based it was actually, I’m normally much more of a highend type of girl but recently I’ve been trying more affordable products and as you can tell I’ve been loving quite a few recently!